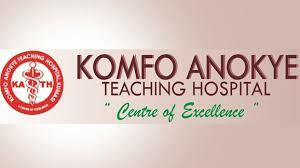 The Acting Chief Executive of the Komfo Anokye Teaching Hospital (KATH) in Kumasi, Professor Baffour Opoku, has said there is the need for the country to train more medical oncologists to help manage the rising incidence of cancers in the country. Speaking at the national ceremony to mark this year's World Cancer Day in Kumasi, Professor Opoku, said KATH has already taken initial steps to address shortages of oncology professionals at the facility. 'The hospital is also in the concluding stages of partnership with some pharmaceutical companies to ensure the regular supply of cancer drugs at relatively cheaper prices for patients', he told the participants. Among the key personalities, who graced the commemoration of the Day included, the President of the Union for International Cancer Control (UICC), Princess Dina Mired, as well as Ghana's First Lady, Mrs. Rebecca Akufo-Addo, and Lady Julia, wife of the Asantehene, Otumfuo Osei Tutu II. Kumasi, the nation's second largest city, has been selected by the Union, the global largest cancer-fighting organization, as one of its centres to participate in the 'City Cancer Challenge Project'. According to the Kumasi Cancer Registry of 2015, the leading cancers seen are liver and prostate in males, breast and cervix in females and Non-Hodgkin's lymphomas and leukaemia in children. 'The worry is that many adults with cancer present them rather late,' Prof Opoku said, adding that, that was due to the lack of education on recognizing early symptoms, self-medication and poverty in seeking for treatment. The acting KATH Chief Executive said the fight against cancer 'cannot be won without preventive measures'.